How do you know if you’re being yourself? 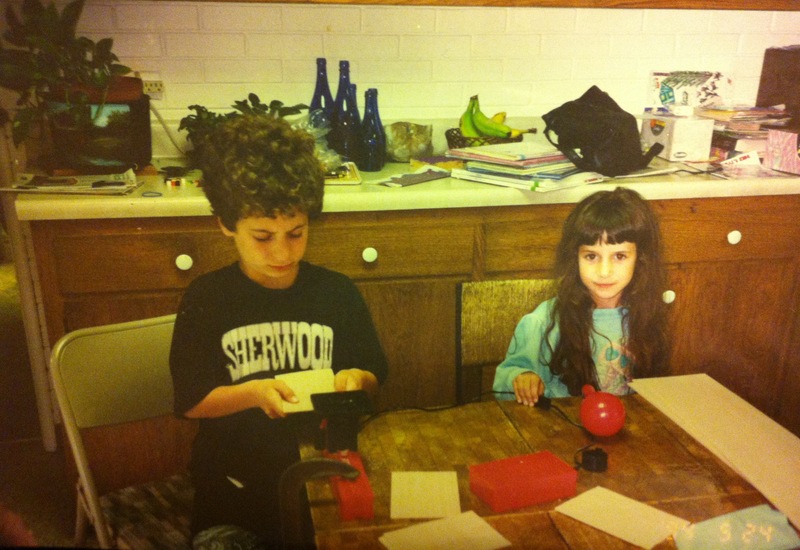 Me as a child with my older brother. When I was a little kid I longed to know who I really was. I remember wishing someone could just tell me. I envied my friends from foreign countries who had a strong national identity. I thought they really knew who they were. I tried finding my identity in things, like being a writer, an actress, a musician. But nothing ever stuck. Now I am grateful for that. I didn’t yet realize that the self attached to thoughts and things was the ego, the parasitic mind that can only survive through attachment to forms. It wasn’t until the summer I turned 23 that I suddenly realized what a gift it was to experience the self without definitions and attachments. It was then, when I realized what I was not, that I became open to finding out who my true self was, how it expressed itself, and how the true self was more expansive and inclusive than I could have ever thought up with my mind. At first, not buying into your own thought created identity can feel like a black hole with no end in sight. There is another side. You will know it through inexplicable feelings of joy, love, and the state of peace. For me, it still becomes obscured by the ego at various points throughout the day. The good news is, that once you’ve experienced your true self it continues to grow in presence and power, no matter how the ego may try to reassert itself. So who are you? Try asking yourself without answering with words, and let your self show you. Good one but I especially love the photo!